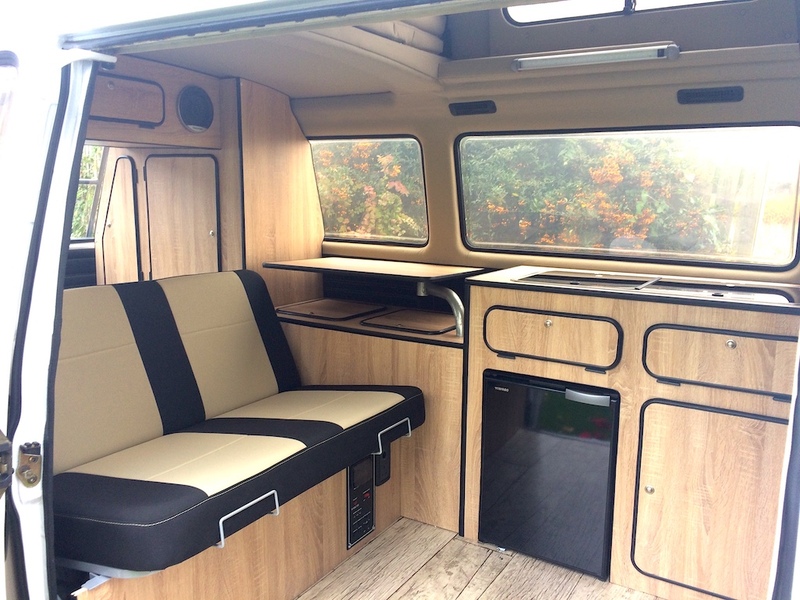 Our custom VW T25 interior for your bus has unique design features and has plenty of storage. You can choose from 10 different colour options and each unit is built using traditional cabinet making skills. 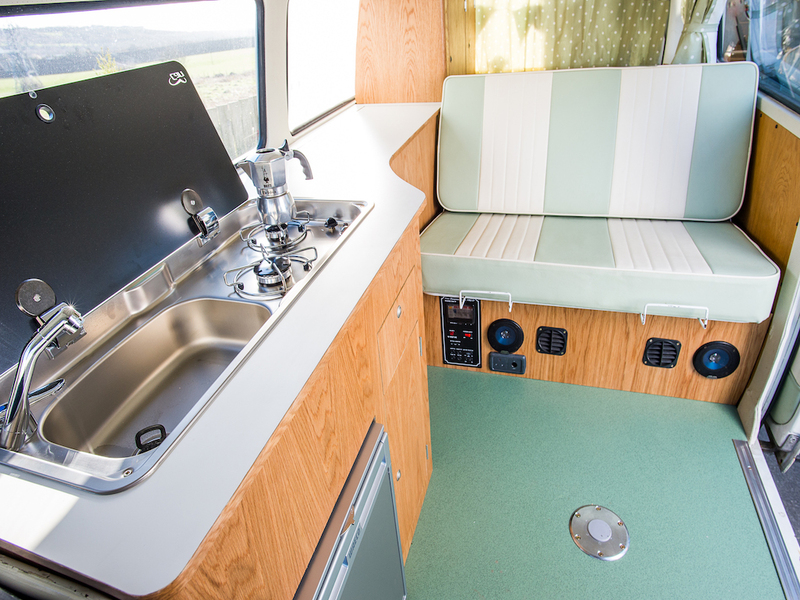 We can either work with you to create a camper interior to your own design or you can choose from one of our interiors which you can see in our gallery. 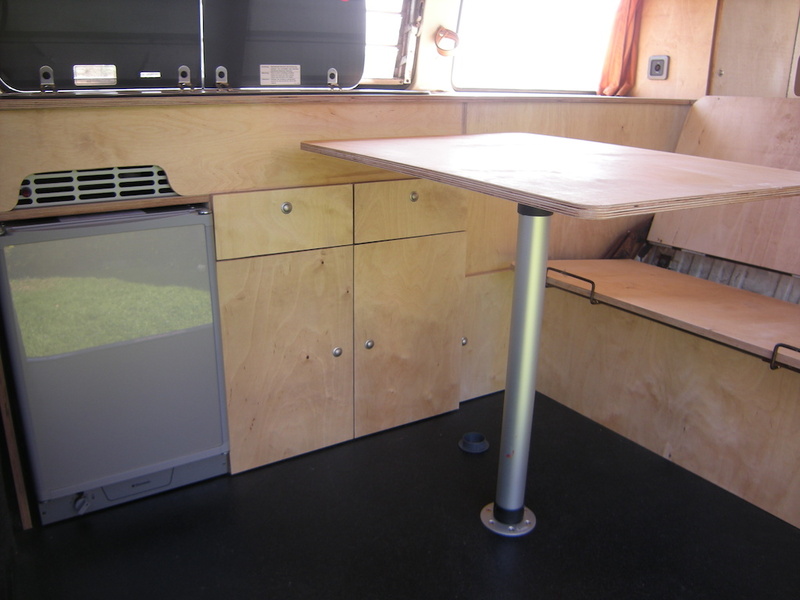 Our camper van units are built from hard-wearing laminates or real wood veneer with matching edge trim or contrasting trim.